Surrounded by vineyards and olive groves, the 19th Century Meneghetti Wine Hotel is a country estate designed with wine connoisseurs in mind. Spend your days basking in the warmth of the Croatian sun on the nearby beach and sampling the region’s finest wines and olive oils on exclusive tastings before finishing the day with a delicious wine paired meal at Restaurant Meneghetti. 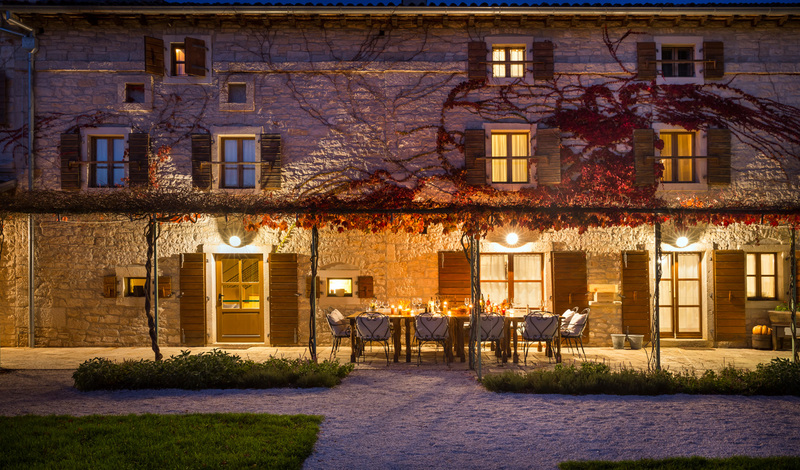 Complete with 25 luxuriously rustic suites and residences and three sun-dappled swimming pools, Meneghetti Wine Hotel is a lesson in the good life as you experience Istria as it should be. Meneghetti is a convenient 35-minute drive from the city of Pula and its airport. A peaceful and secluded retreat with nothing to speckle your horizon beyond the vineyards and olive groves which stretch for miles all around you, travel just 30-minutes and find yourself in the heart of the historic city of Rovinj. For something more local, the charming town of Bale is just five miles down the road. Traditionally Mediterranean yet with a contemporary twist, the 25 luxurious rooms, suites and residences have been crafted using locally sourced materials and are finished off with either antique pieces or modern flair. 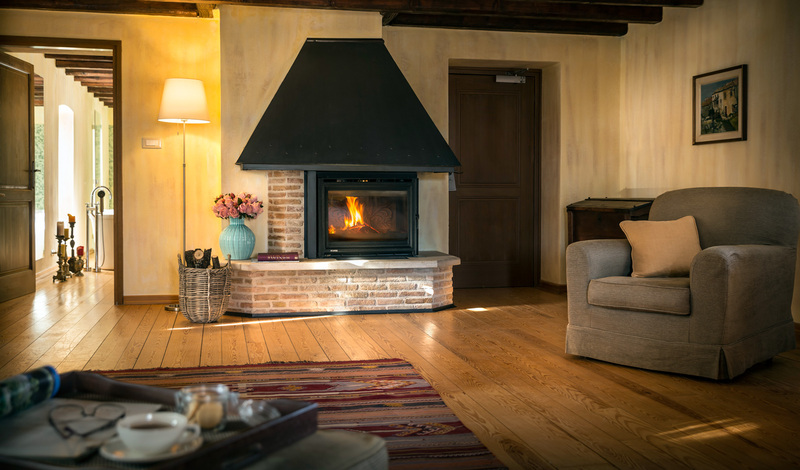 Between the old and the new, there is something for every taste but with lovely views over the vineyards and olive groves, the rooms and suites with private terraces and tranquil gardens proved pretty irresistible. It would be impossible to visit Meneghetti without a foray into their extensive vineyards. Whether wine or olive oil, Meneghetti is the perfect springboard into an authentic taste of Istria. Not only that, but Restaurant Meneghetti also offers a tailored dining experience where seasonal and local produce is paired with wines best suited to bringing out those fresh accents. Olive oils are also carefully selected and served with each course – from starters right down to desserts. The care and attention to detail make dining here a truly memorable experience.